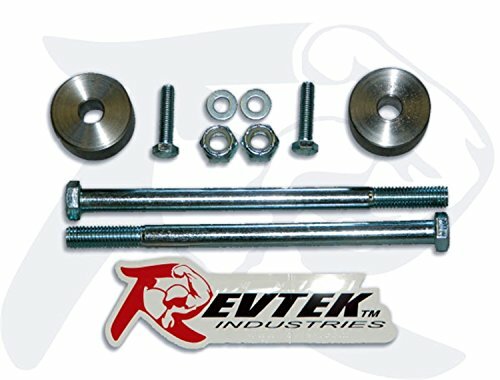 Revtek Differential drop spacer kit, Toyota 4 Runner 4WD 1996-2002, Tacoma 4WD 1995-2004, Tundra 4WD 2000-2006. Manufactured & Assembled in the USA. Looking for uncompromised performance on and off-road? The 4" N2-Series Kit for Jeep YJ was engineered by Rough Country's Research and Development Team to give the perfect blend of off-road performance and smooth highway ride. 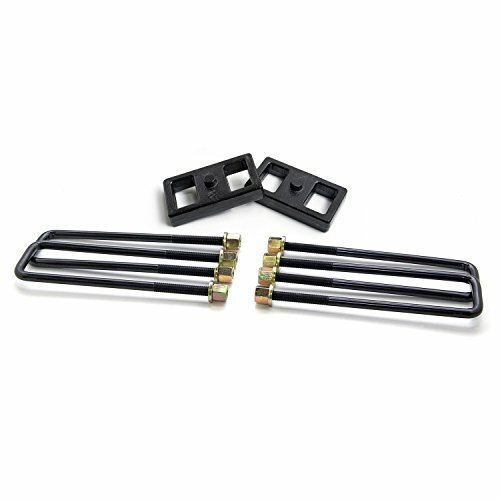 A set of application tuned, lifted leaf springs are included in this kit along with a power steering pitman arm and brake line relocation bracket. 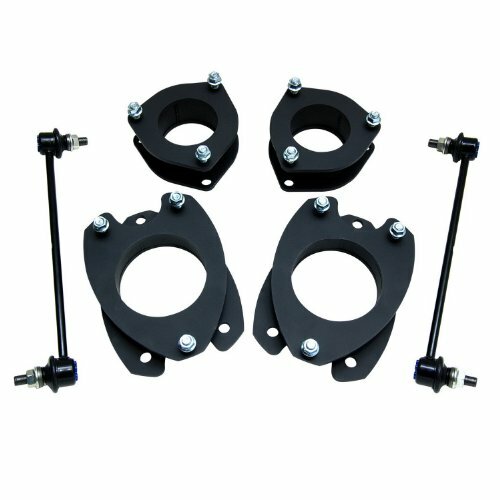 The 4" N2-Series kit also includes a tubular transfer case drop kit to maintain proper driveshaft angles as well as track bar drop brackets, bumpstops, and a full set of sway bar links. 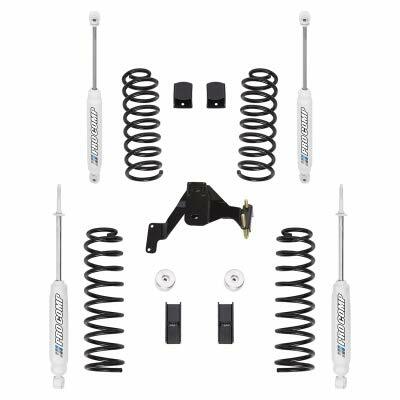 Most notably this kit is outfitted with the all-new N3 Shock Absorbers, nitrogen charged and specifically tested and tuned for YJ applications. This allows for a super smooth highway ride and outstanding control in rugged off road situations from the same shock. 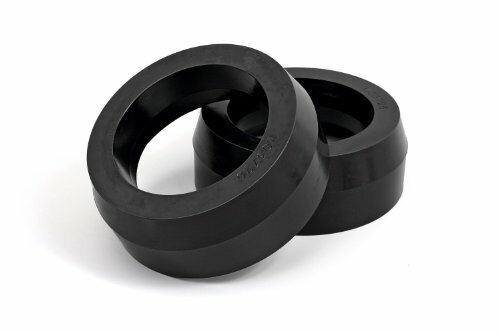 This easily to install, innovative molded spacer design combines great looks and strength in ways that traditional spacers do not. 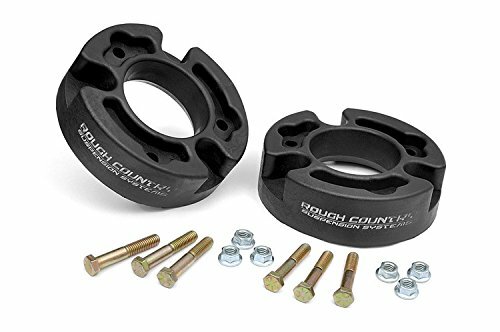 Rough Country's new spacer design is formed to fit the strut hat giving the appearance of a continuing strut, unlike traditional strut mount spacers which leave an eyesore in clear view. ReadyLIFT Suspension Inc. has used proven technological engineering methods to produce a 3-inch SST Suspension Lift System featuring a new 2.0" Rear Block. On some TRD model trucks a one inch rear block is not enough rear lift to level the rear with the front after installing the 3.0" front strut extension. 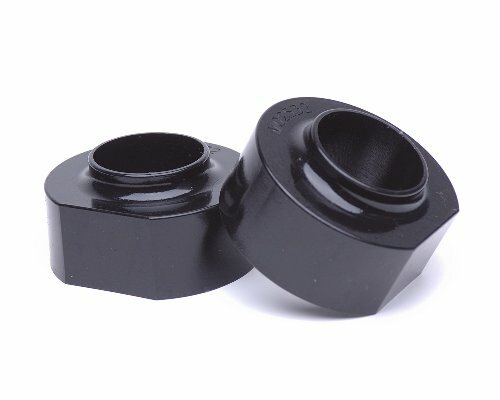 This new tapered 2.0" rear block included in this kit will give most trucks approximately a one-half inch rear rake. 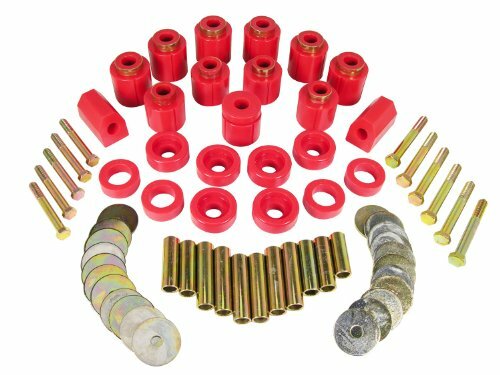 This kit allows the owner to upgrade to larger wheel and tire combinations up to 35 in diameter while retaining the great stock ride and handling characteristics. Note: Not for use on 2015 Tundra TRD Pro w/ Bilstein shocks This is a complete suspension lift kit that includes a powder coated steel strut extension, front differential drop spacers, sway bar spacers, skid plate spacers and new 2-inch rear lift block. 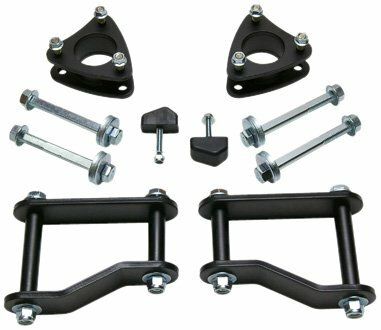 The SST strut extension and diff drop bracket provide 3 of front suspension lift while retaining the OEM safe suspension geometry. Unlike other kits, the ReadyLIFT 3 suspension system requires no cutting or strut spring pre-loading. Installs quickly and safely using the provided heavy-duty hardware. Quality step-by-step instructions are provided. 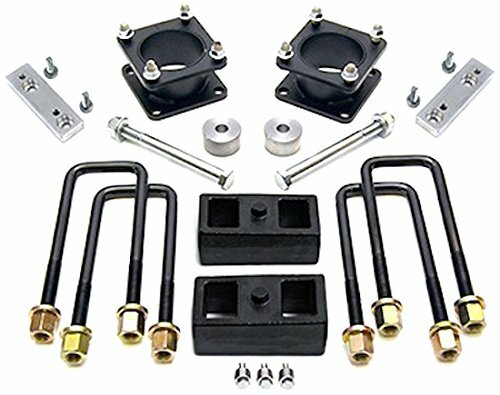 This SST Lift Kit will get rid of that "stink bug" stance while lifting the truck both front and rear and retaining your factory ride. Toyota pickups are built around quality and ReadyLIFT has designed this 3-&-2 lift system to retain the quality ride and handling that you expect from Toyota. Note: Our objective is to provide a product that levels the vehicle. Through on-going research we have discovered that Toyota trucks have a unique pattern of being manufactured and sold with varying degrees of rear to front rake. Many Toyota trucks are not the same height or possess the same rake as the same stock truck sitting next to it. Our research has determined there can be as much as 1.0 difference in rake and ride height from truck to truck. TRD-equipped trucks often have less rake compared to a non-TRD truck. Measurements on customers trucks have revealed as much as 1.0 difference in the factory front end. Professional installation time is estimated at two to three hours. An alignment is necessary following installation. Guaranteed for life against manufacturing defects. Popular wheel and tire sizes used for this vehicle include the stock rims (17x8, 6.5 backspacing) with 33 tires, 20x8.5 rims with 285/65/20 tires. 35 tires will fit with minor modifications to the skid plate. Tundra Max Lift: 3.0"F/2.0"R - Max Tire Dia: 35"
This first ever mild lift kit allows you to go up to a 35inch wheel and tire combination when using OEM offset wheels while keeping the smooth OEM ride and drivability. This is the only complete lift kit for the Ford Expedition that includes mild lifting products for both the front and rear suspensions of the Expedition. 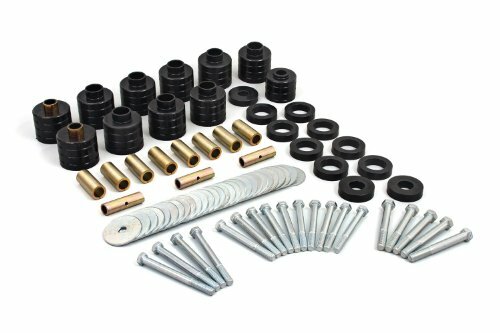 The kit includes (2) 3.0inch SST front strut extensions and (2) 2.0inch SST rear extensions along with all needed hardware and instructions. 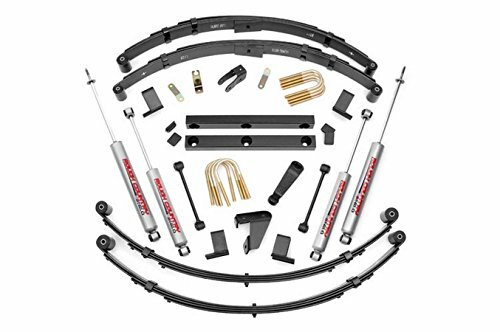 ReadyLIFT Smart Suspension Technology is used to make this kit very user friendly to install requiring no cutting. Professional installation time is estimated at 2.5 hours. Like all other ReadyLift kits, the Ford Expedition mild lift kit will maintain your factory ride. ReadyLift 2" Smart Suspension Technology Lift Kit features a combination of 2.0 inch front and rear lift systems. 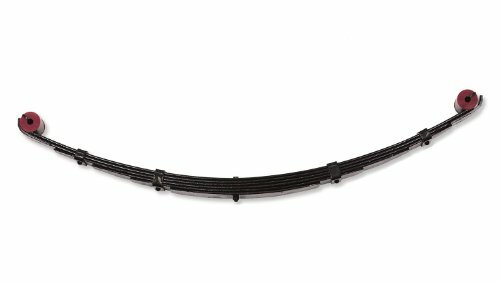 The e-coated steel SST strut extensions bring the entire Ridgeline up 2.0 inches equally both in the front and the rear. 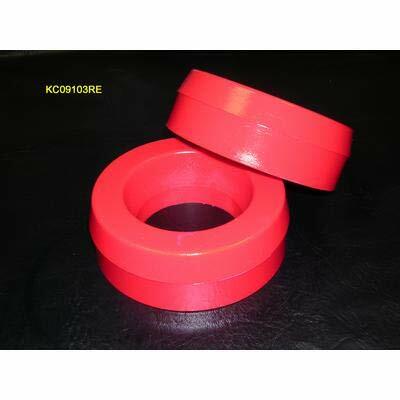 This will allow for the installation of up to a 31 inch off road tire. Daystar was the first to enter the Leveling Kit market in 1995. 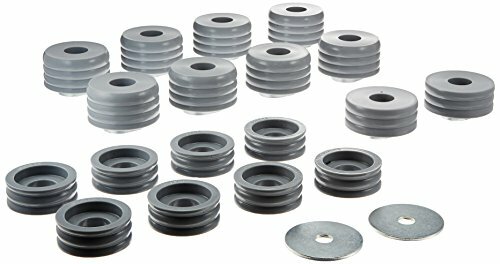 Though there have been many companies that have entered the market since, Daystar's Leveling Kits offer many advantages that the others can not claim. Lifetime Warranty - All of Daystar's Leveling Kits are backed by a Lifetime Warranty. In the unlikely event you experience a problem with a Daystar product, Daystar will take care of it. Made in the U.S.A. - All of Daystar leveling kits are manufactured at its plant located in Phoenix, Arizona. In-house manufacturing ensures a level of quality control that no one else can match, and Daystar has the ISO9001 certification to prove it. 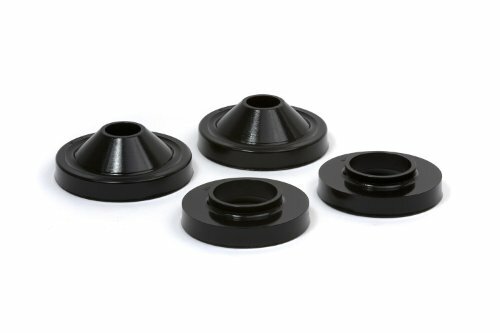 Daystar Leveling Kits work within the factory suspension design, meaning that the work within the factory's design parameters to achieve an increase in ride height that levels the stance of the vehicle. Because Daystar works within the factory's design, there are not a bunch additional modifications involved. Everything needed is included in the kit; there's everything you need and nothing you don't. Recommended maximum tire size: 35 inch. This kit is still one of our top selling kits for full size SUV's. The Performance Accessories 122 Body Lift Kit is the most popular method to raise Chevrolet and GMC SUV's by providing two-inches of additional lift and allowing the use of up to 32-inch diameter tires (265/75R16). 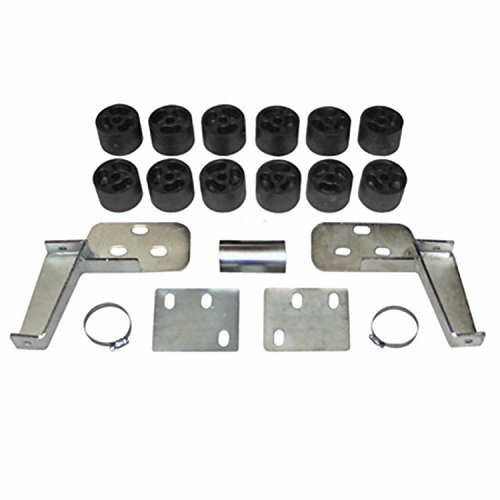 This kit includes all the necessary components to raise the vehicle in 6 to 7 hours. Comes with high pressure fiberglass reinforced nylon lift blocks, 3/16 inch thick laser cut and powder coated front bumper relocation/support brackets, a CNC machined and zinc plated steering extension, high strength hardware, radiator fan shroud spacers and fuel filler extension. 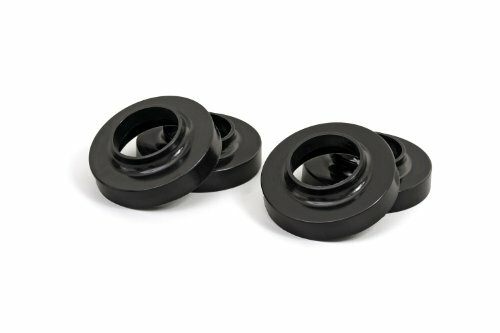 A set of urethane wheel-well extensions (Gap-Guards 2wd & 4wd PN-6533) are available separately, and are used to conceal any gaps between the body and frame in the wheel wells. 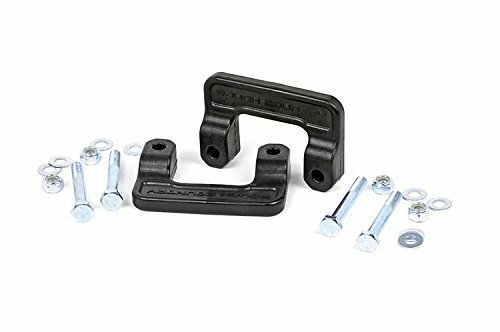 For the rear bumper area a one piece rear bumper urethane Gap-Guard is available separately (Rear Bumper Gap-Guard PN-6522) and is used to conceal the gap between the tailgate and the rear bumper. 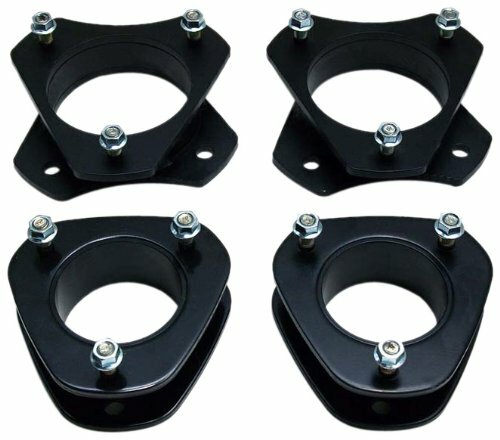 Additional Information: Fiberglass reinforced nylon body blocks CNC machined & zinc plated steering extension Laser cut and powder coated relocation brackets Laser cut and zinc plated fittings and brackets High strength fastener kits. Ready Lift is the fastest, safest and least expensive way to lift, level, or raise the rear of today's most popular trucks and SUV's and add wheels and tires up to 37 inches in diameter. While other lift kits cost thousands to buy and hours to install, Ready Lift can be installed in as little as 1 hour, and can cost less than the price of a single custom wheel. Ready Lift recommends custom wheels no wider than 9.0 inches with 4.5 inches - 5.5 inches of backspacing on most applications. Using wheels wider than 9.0 inches may require a larger backspacing or a reduced tire height to minimize the chance of tire to fender clearance problems on some applications. Ready Lift states that it is the responsibility of the installer to verify correct and safe fitments. Ready Lift does not assume responsibility for any errors or misapplication contained within this guide.